Ever since MTV debuted its Unplugged series of concert recordings in 1989, replacing the electric guitars in pop and rock hits with acoustic instruments has been a popular way to explore and reinvent well-known pieces of music. Here we present for your enjoyment ten of the very best acoustic cover versions. Some started life as crazed heavy metal numbers. Others were fast-paced pop songs. One was hip hop. In each case the original was dominated by electric guitars or synthesizers. Songs originally recorded with lots of acoustic guitar, like Eric Clapton's Tears of Heaven or The Rolling Stones' Wild Horses, were ruled out from the get-go. By any conventional definition, Sungha Jung is a guitar prodigy, although he's said he dislikes that label. Born in 1996 and performing publicly since the age of ten, the South Korean native has a number of YouTube videos which have notched up seven-figure view totals. Since 2010, he has released five albums, the first three being recorded in Germany. If you like this, YouTube has 100-plus other clips of his perfomances. This Iron Maiden rocker - also the title of their 1992 album - lends itself to all kinds of acoustic instrumentation, including harp. This version is performed by Thomas Zwijsen, who was born in the Belgian port city of Antwerp in 1988 but is usually described as a Dutchman. Zwijsen's passion for the veteran British band's music seems to know no bounds: He has been working with Blaze Bayley (Iron Maiden's lead vocalist during the late 1990s) and two of his albums (Nylon Maiden and Nylon Maiden II) are, as their titles imply, dominated by Maiden covers. The title track of Black Sabbath's second album features one of rock's heaviest, most recognizable riffs. The original version of Paranoid - which became Sabbath's only major hit single - was famously cobbled together on a June day in 1970 when the British band realized they needed a few more minutes of music to complete the record. Among the acoustic covers floating around the internet is a down-tempo, slickly-recorded rendering by Rob Lamothe. But this is my favorite: The drums are a little fuzzy and the visuals are eccentric, but Shannon Leigh Mulligan's bluesy vocals are spot on. American bluegrass maestros Honeywagon have built a career out of covering other artists' works. 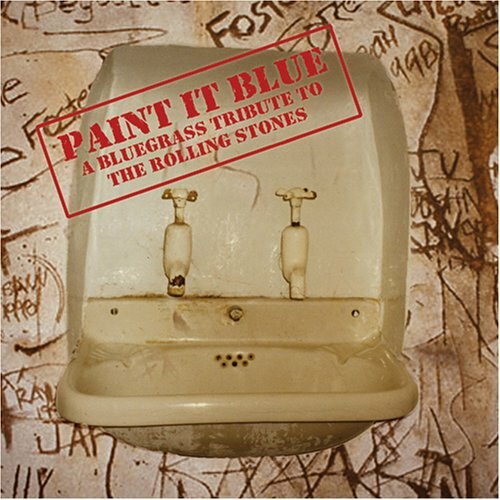 In addition to entire albums given over to the songs of Michael Jackson and Lady Gaga, in 2005 they recorded a batch of Rolling Stones tunes under the title Paint It Blue, on which this cover appears. A South Korean like Sungha Jung, LeeSA has remained low key (no Wikipedia entry!) while building up a devoted international following thanks to her renditions of pop hits as varied as Coldplay's Viva La Vida, Maroon 5's Move Like Jagger and, more recently, the Pharrell Williams smash Happy. Singing with a slight and entirely endearing accent, LeeSA (unconventional orthography seems to be standard for Korean singers, HyunA being the most famous example) here gives us a joyous version of the song that launched Kesha's career. Short and to the point (at 2 minutes and 6 seconds it's very slightly shorter than the original), Kelly Valleau's version of Queen's clap-and-stomp anthem is a delightful morsel. The original, which Rolling Stone magazine ranked it no. 435 on their list of The 500 Greatest Songs of All Time, was driven by a piano riff and some slicing guitar work. It dates from 1983, before Bono began wearing dark glasses and The Edge adopted a series of hats to hide his baldness. Rather than imitate the urgency and angst of Bono's vocals, Yes The Raven (who hails from Belfast, not far from U2's hometown of Dublin) sings in a whispery, soulful manner. Anyone who grew up in the 1970s remembers ABBA and their hits, among them Dancing Queen (recorded in 1975 and released the following year). It was a no. 1 in the USA, the UK and several European countries including the band's native Sweden. These Polish performers give it a slightly jazzy, R&B inflection. At the time of writing, this video was had notched up fewer than 400 views on YouTube, making it the least known, or most neglected depending on your point of view. But this young man's earnest vocals (the lyrics are clearer than in the original, but not by much), not to mention the sheer audacity of a pseudonymous balding white Englishman appropriating and folkifying a song of African-American anger, make it well worth a listen. It's Public Enemy without samples. Imagine that. RATM's profanity-laced protest number is one of the angriest and most memorable songs of the past quarter century, so there was no realistic chance it would escape the attention of YouTube's troubadours. Carl Wockner, who's based in the Australian state of Queensland, has written and released several of his own compositions, but this rendition shows his ability to reshape and find fresh angles in other's people works. If you've enjoyed this selection, please add your comments and share via social media. Kesha and Rage are the best ones! That guy's technique (hammering and pulling) to play Queen's tune: FANTASTIC!